McDonald's, the largest fast food chain in the world, is shaking up its menu with vegan options at restaurants around the globe. In response to meat-less minded customers in Norway, the chain is now frying up vegan "chicken" nuggets at select restaurants. According to a rep for the chain, the new chicken-free McNuggets are with a mashed potato base, which is mixed with chickpeas, onions, carrots and corn. They're coated in breadcrumbs, then fried until crispy. The vegan option is the latest in a series of vegetarian-friendly releases from the golden arches. In January, McDonald's announced on Instagram that it had added "McFalafel" to its menu in Sweden. 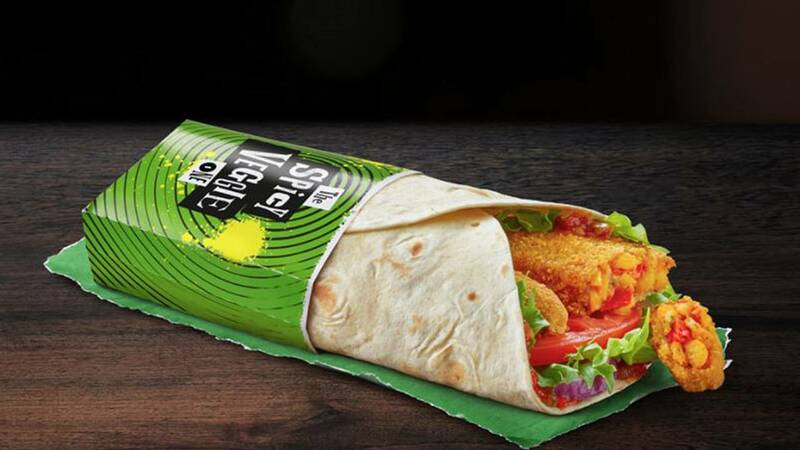 That same month, the chain rolled out a vegan Happy Meal in the UK, featuring a veggie-based, flour tortilla wrap. Not to be completely left out, the McDonald's U.S. headquarters eatery in Chicago launched a vegan burger in December 2018. The offering is called the "McAloo Tikki," which is one of the chain's best-selling products from its restaurant menu in India. The Chicago locations offers a variety of international menu items not readily found at most locations in the U.S. The McAloo Tikki features a veggie patty made from potatoes and peas, topped with red onions, tomato slices and an eggless tomato mayo. Despite nationwide excitement for the vegan option, it hasn't rolled out anywhere else in the states. 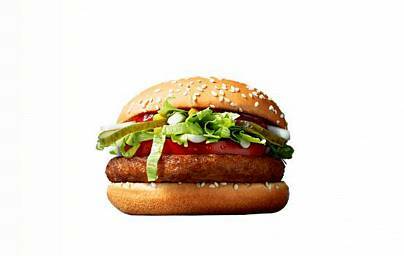 In 2017, however, McDonald's first offered a vegan burger, named "The McVegan," in Finland. 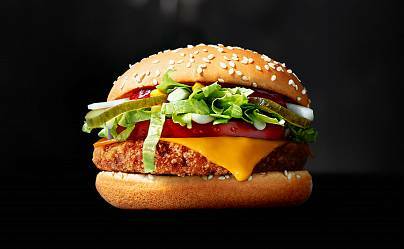 In Norway, McDonald's offers a "Vegetarian McFeast," too, which includes a vegetable and bean-based alternative to the "Chicken McFeast," a standard chicken patty sandwich. The veggie based burger has 542 calories, 23 grams of fat, 15 grams of sugar, 3.7 grams of salt and 14 grams of protein. In contrast, the chicken patty sandwich has 497 calories, 31 grams of fat, 6.5 grams of sugar, 3.4 grams of salt and 32 grams of protein. The chicken burger offers customers more than double the protein with fewer calories, less sugar and a bit less salt. The vegan McNuggets' nutritional content is not yet available. However, a starchy meal of vegan nuggets and a side of fries contains mostly potatoes and vegetable oil. It would not be a great choice for many people (like Al Roker for example) who avoid eating lots of carbohydrates. Just like some of McDonald's higher-calorie salads, these vegan options may provide some fresh ingredients to consumers but aren't necessarily healthier than their meatier counterparts.